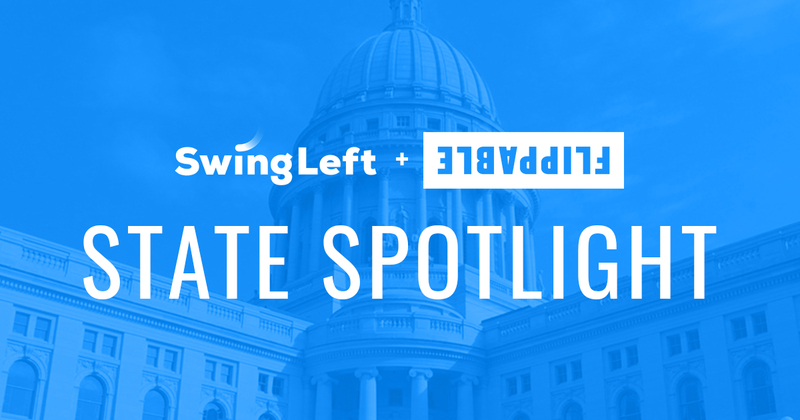 State Spotlight—a new email newsletter from Swing Left and Flippable—is for grassroots donors, fundraisers, and everyone else who wants to deepen their insight and maximize their impact. We’re teaming up to help you simplify your decision-making and direct your investments—including your time, energy and dollars— to the places and races that matter most. Each month we’ll highlight two key races in one state—shining a light on the critical elections where state and national politics intersect, and illuminating the role you can play in flipping key districts blue. Click here to sign up for the State Spotlight newsletter.